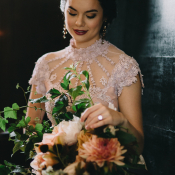 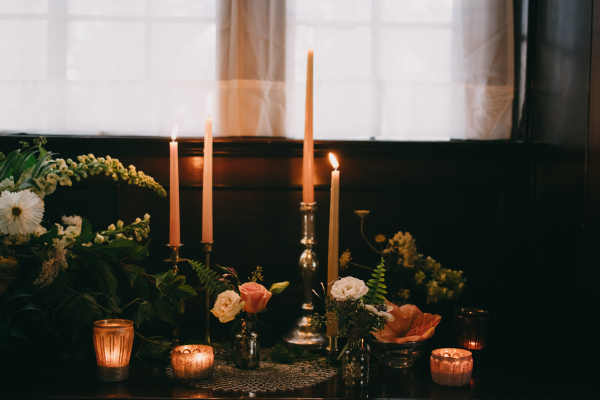 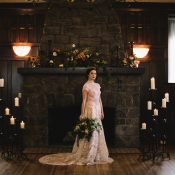 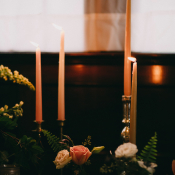 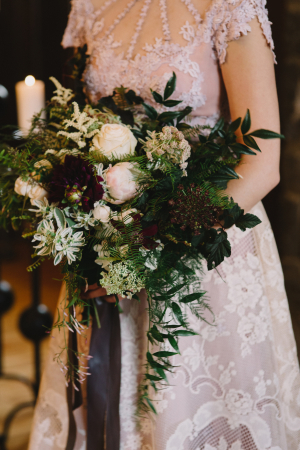 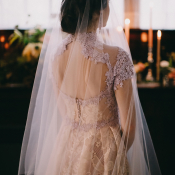 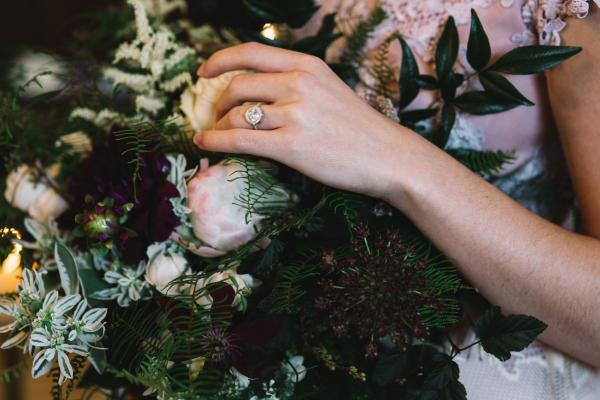 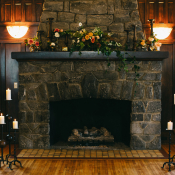 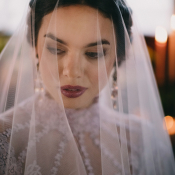 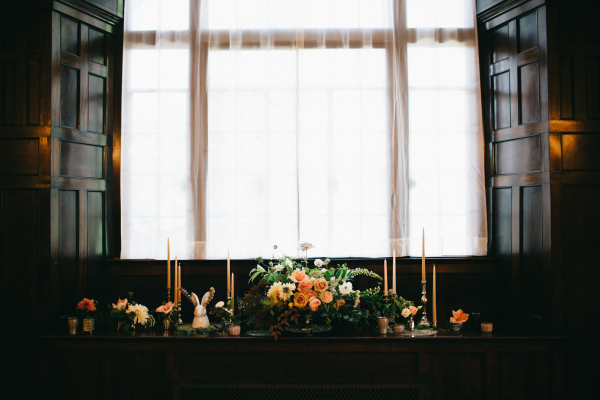 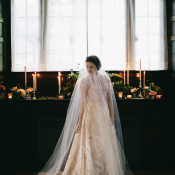 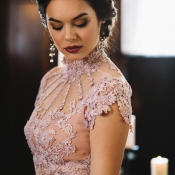 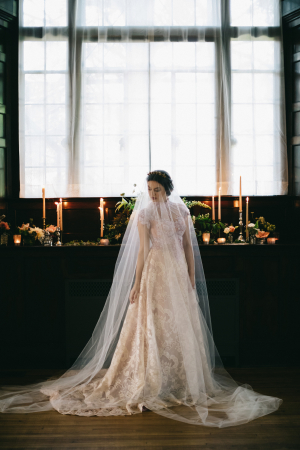 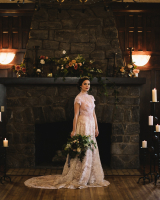 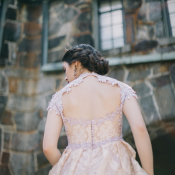 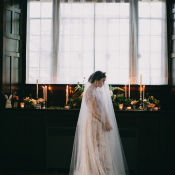 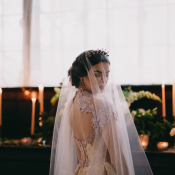 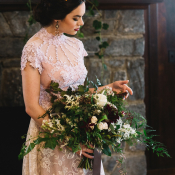 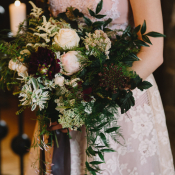 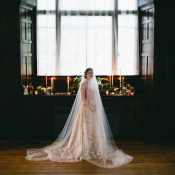 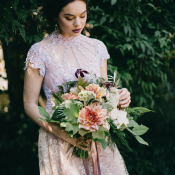 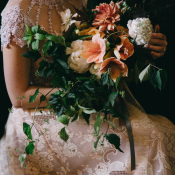 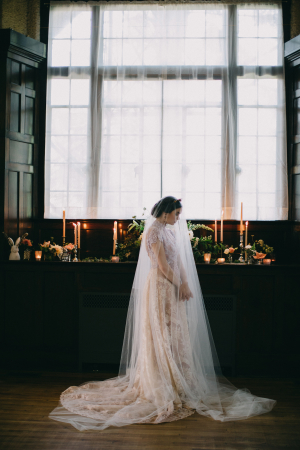 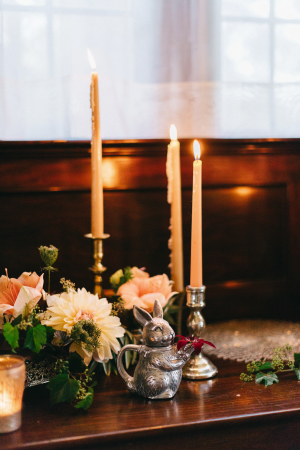 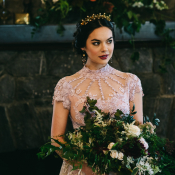 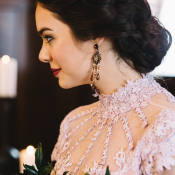 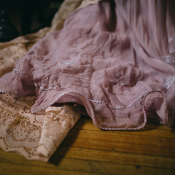 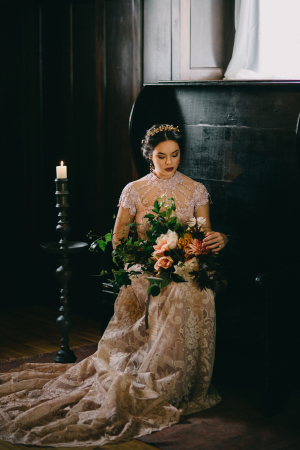 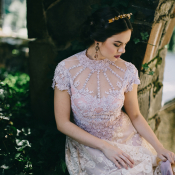 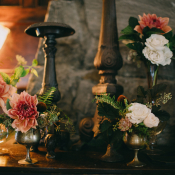 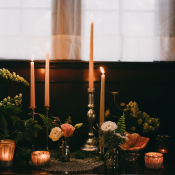 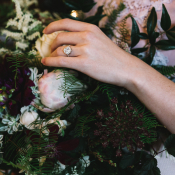 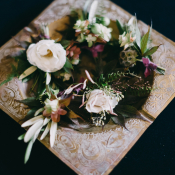 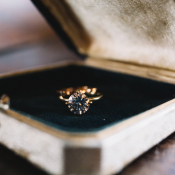 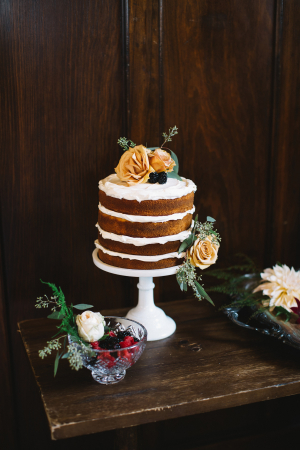 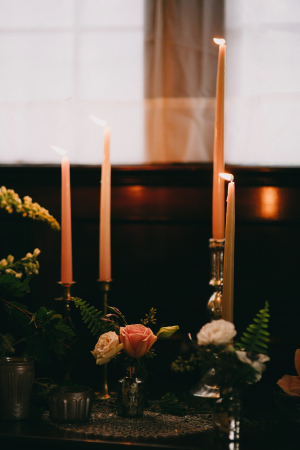 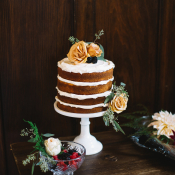 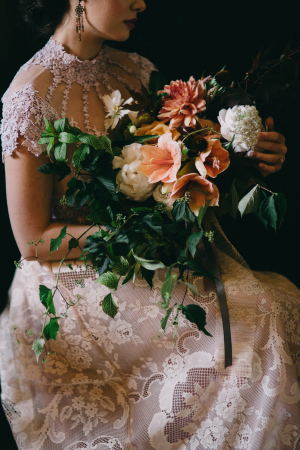 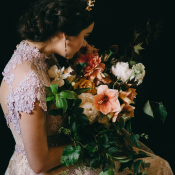 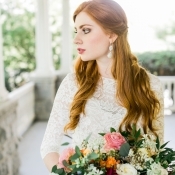 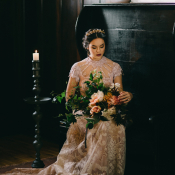 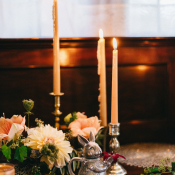 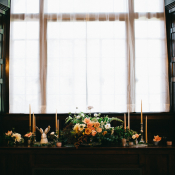 Set against the mythical backdrop of the Appalachian mountains, as a gorgeous spot in Asheville called Homewood, today’s inspiration shoot is equal parts vintage romance and gothic glamour. 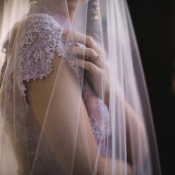 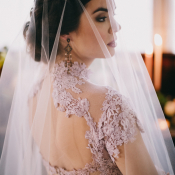 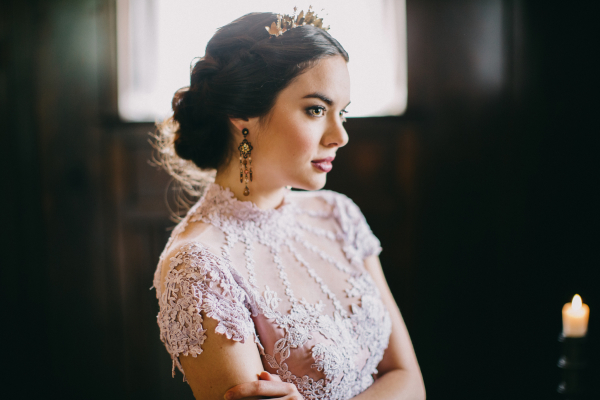 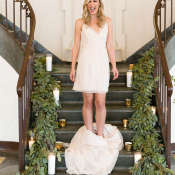 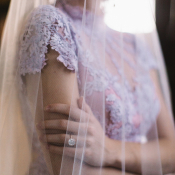 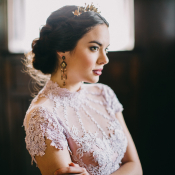 A vintage gown, dyed the palest of lavender by LWD Couture was the start of a positively regal bridal look. 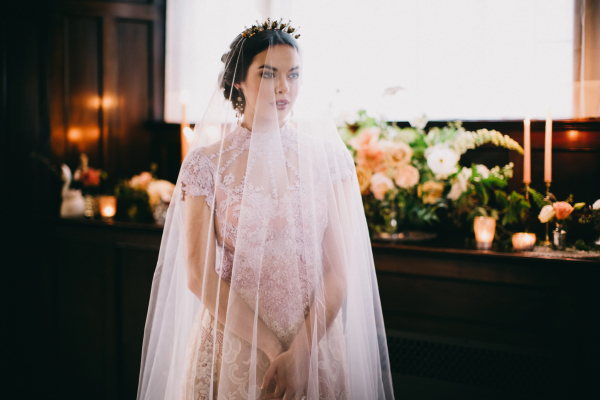 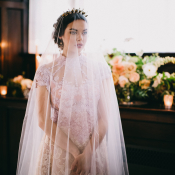 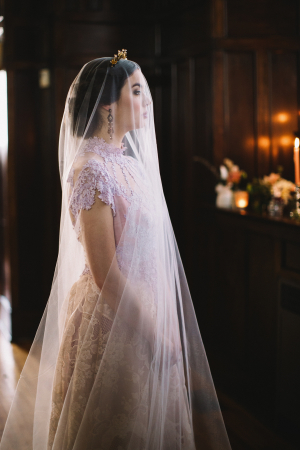 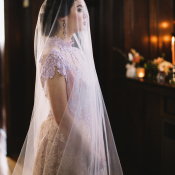 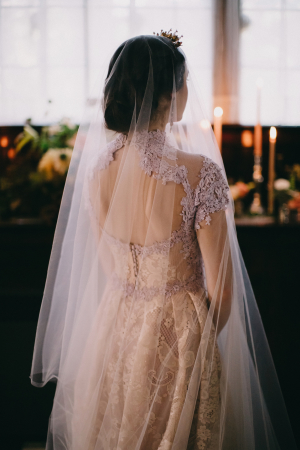 A cathedral veil and crown headpiece completed the ensemble. 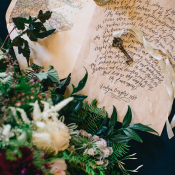 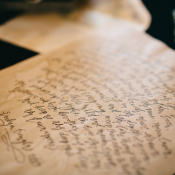 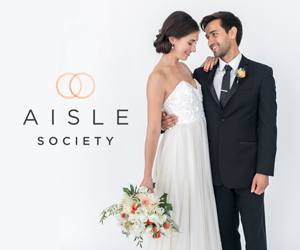 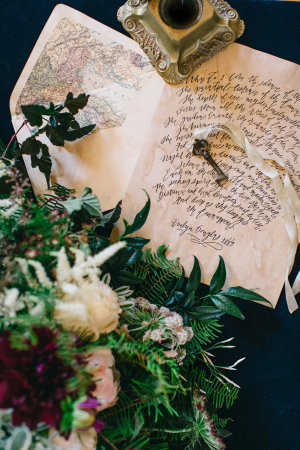 Vintage calligraphy by 7 Ton Design + Letterpress Co., keys, taper candles, custom-designed sparklers from Susie Saltzman, and the dark wood of the venue enhanced the beauty of the scene, created for the aptly named Fabled Gatherings Workshop. 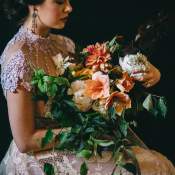 Florals by Floressence Flowers in rich shades of burgundy and coral bring a unique spin to traditional fall colors. 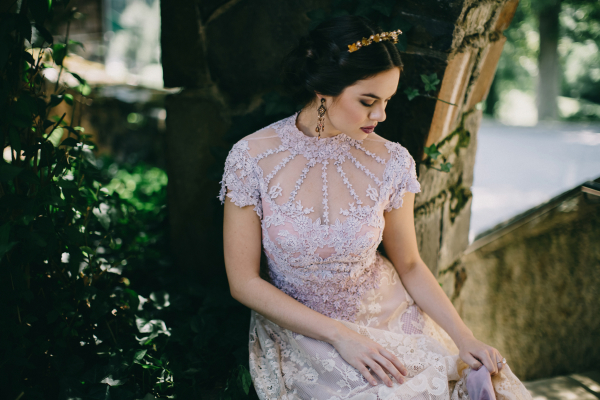 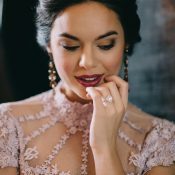 Every image from Jameykay and Arlie Photography exudes regal romance!